The first three were to be used on the Russian front. 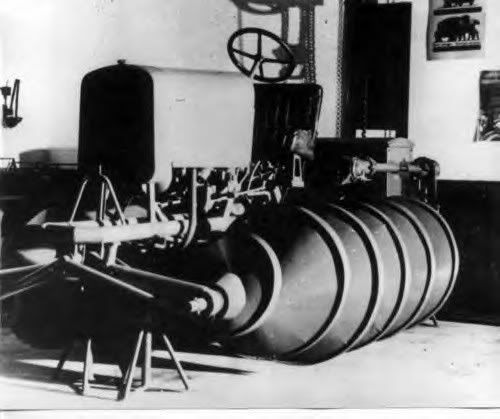 A member of the Grossdeutschland designed the tractor with the corkscrew drive. 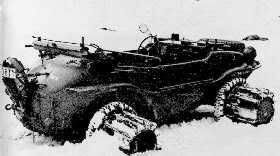 It was to be used to tow artillery thru very deep snow. Snow is just frozen water right? An experimental Mercedes half-track captured by the Americans. And the ultimate in field expedience an up armored and gunned Krupp protz. Not sure but that gun may be a dummy. "Happiness is a belt fed weapon"
That one's not an experimental, it was actually used quite extensively. It's the "Maultier" version for the heavier Mercedes truck using Pz II suspension elements. Zvezda is supposed to have a kit of this one coming out in the not too distant future. I rather doubt that the gun is a dummy. There are lot of pictures of Protz with that small anti-tank gun mounted on a stock Protz but that is the first pic I've seen in which add on armour has been added to the vehicle. Doesn't make much sense to go to that much work and not put a working weapon on it. looks like a Pak 35/36 AT gun on that Protz. That would be quite an interesting addition to any build. Anyone gonna scratch it? The reason I thought it might be a dummy is that there doesn't appear to be an opening in the gun shield for the gun to elevate. 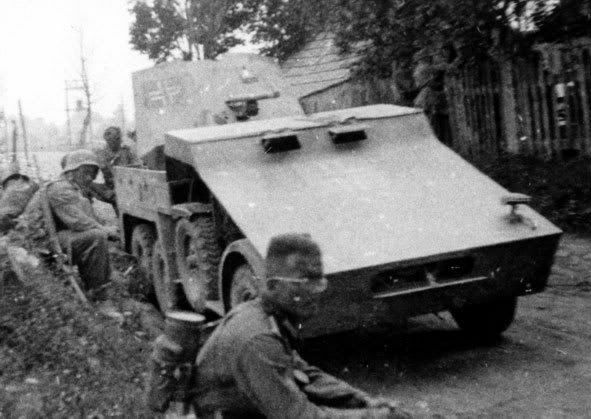 Also the shield does not look like the usual pak 37-type shield with the hinged upper section. I've seen Krupp's with the 37 mounted on them but they looked nothing like this one. If you look at the gun you can tell it is a 3.7cm gun due to the size of the barrel which fits in with the Pak 35/36 as well as the gun recoil rail. The gunshield could be a field mod since the Pak 35/36 gun never did elevate it only traversed left or right. .......since the Pak 35/36 gun never did elevate it only traversed left or right. Heres a close up of a pak 36/37. This doesn't have an opening for the gun to elevate either. It also has the little cut out on top and the opening for sighting that you can see in the pic of the Protz. Although the shield on the Protz does appear to be bigger than the standard 36/37 shield. If you look closer there is an opening, look under the gun. The gun is close to full elevation in the picture. After I cleaned my glasses I looked at the one on the protz a little closer. I think what I thought was a shadow under the gun is an opening. "If you look at the gun you can tell it is a 3.7cm gun due to the size of the barrel which fits in with the Pak 35/36 as well as the gun recoil rail. The gunshield could be a field mod since the Pak 35/36 gun never did elevate it only traversed left or right. " Then it would be completely useless in combat. I found this video on another forum thought you all might be interested. Bill that was cool. I thought the thing would have been kind of slow but that thing can move. 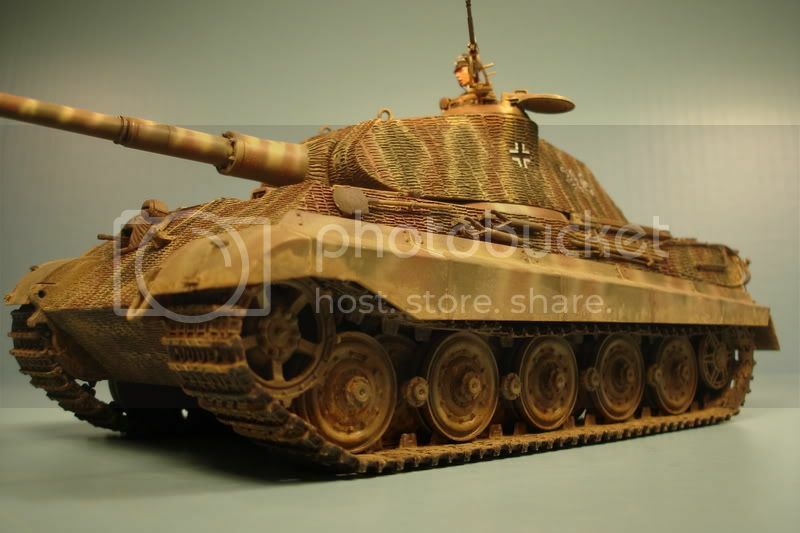 I found the pic I posted in a web site on the Grossdeutschland div. The writer of the piece said that his father who was in the GD designed and built it. Now the whole thing sounds a little fishy. I think I'll try to locate the article again. LOL: Can you imagine this conversation? "Hans, WAIT until the french tank goes into the depression to fire. Just wait about 2 seconds!" An AT gun w/o elevation gears -- hoo haa! I think that I heard that a Fordson Tractor was used to make it. Well you know Henry Ford was deep in with the Germans and the Nazi party before and during the war. There is a good chance that pictures or film went to the Germans. There were a lot of them in the states before the warand any one of them could have taken the idea back. I kinda remember that a swamp buggy was built using those screw floats back in the 60s. There was a more recent (1970's?) Russian variation of this concept.